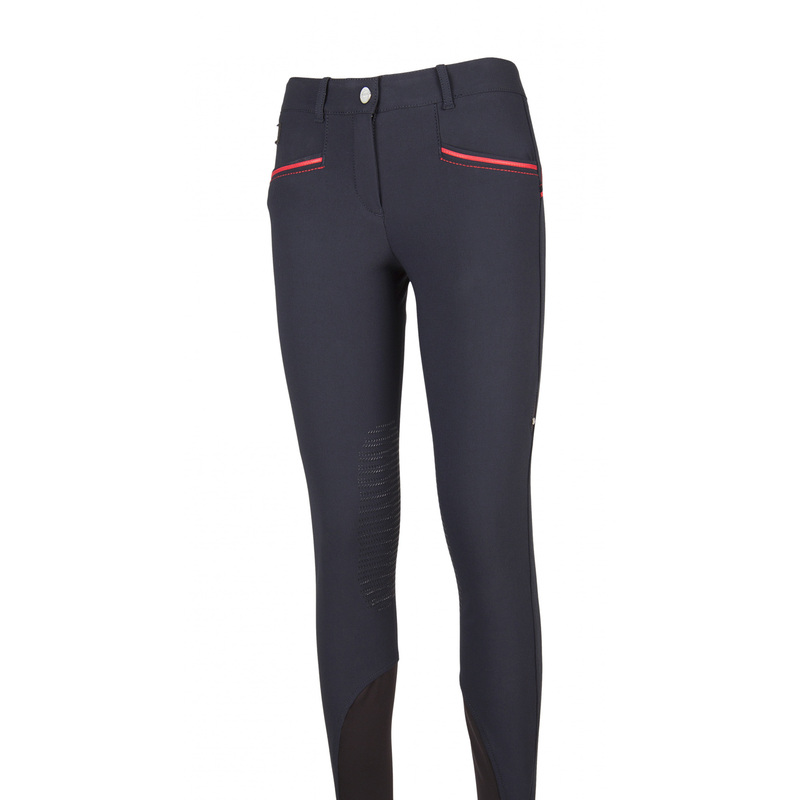 Ladies' breeches with a non-slip knee grip. They are made of waterproof Schoeller material. 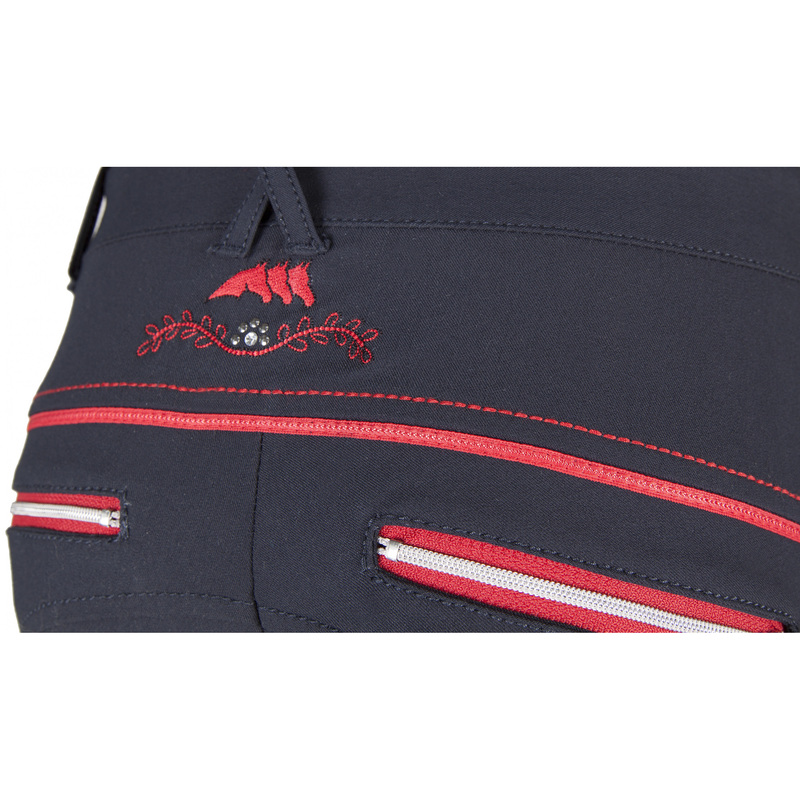 They are of classic cut with contrasting stitches below the belt and on the front pockets. 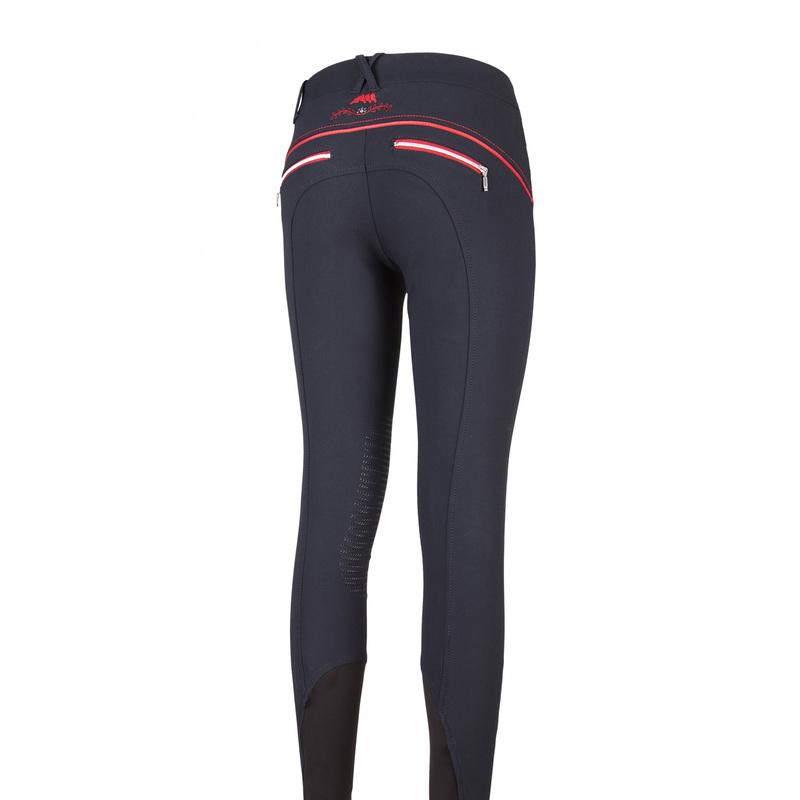 An Equiline logo with the motif of three horses' heads is embroidered on the back. 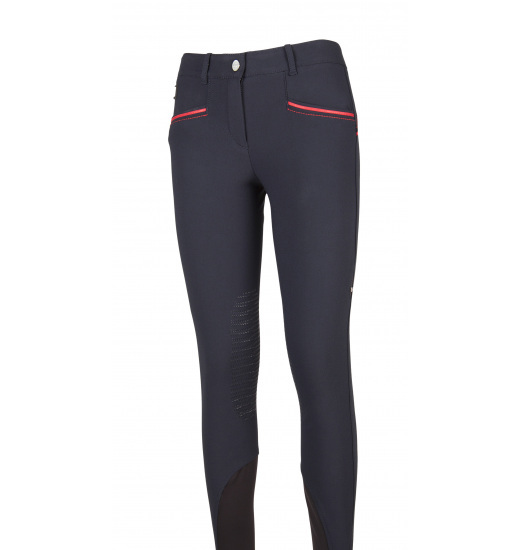 There is a fragment of very elastic material on a leg at the calf level, which provides perfect fit to the body.